One of the biggest stars in Latin music made a trip to Italy this past week to close Dolce & Gabbana's Fall/Winter 2018/2019 Milan Fashion Week show. Maluma's performance of "Corazón" and "Felices Los 4" on Saturday afternoon served as the surprise finale of "King's Angels," a show targeted toward millennials that also featured social media stars, young celebrities, and influencers including singer Austin Mahone, YouTuber Cameron Dallas, and soccer star Paulo Dybala as just a few of the 106 participating models. 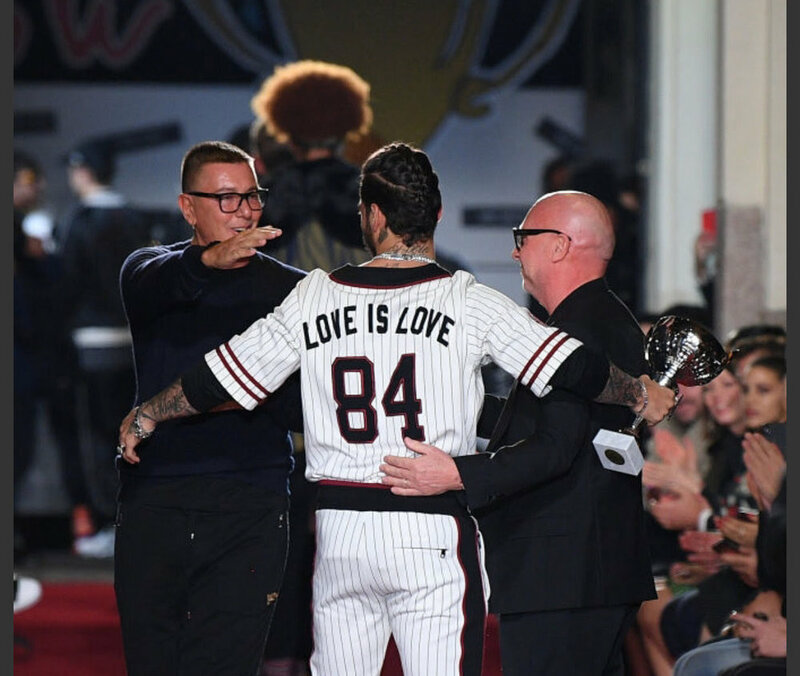 Later that night, Dolce & Gabbana also held another more intimate show to share the Unexpected Show, their ready-to-wear/sportswear collection, which Maluma closed as well. The 23-year-old singer, who was named the #1 most viewed recording artist on Instagram stories in 2017 and the seventh most viewed person overall, became one of the biggest concert-selling Latin artists in the world last year, selling more than 1 million tickets for his 105 concerts. Maluma is currently preparing his upcoming album F.A.M.E. and a new U.S. tour that will bring him to major American cities like Miami and NYC. Watch the fashion show here.